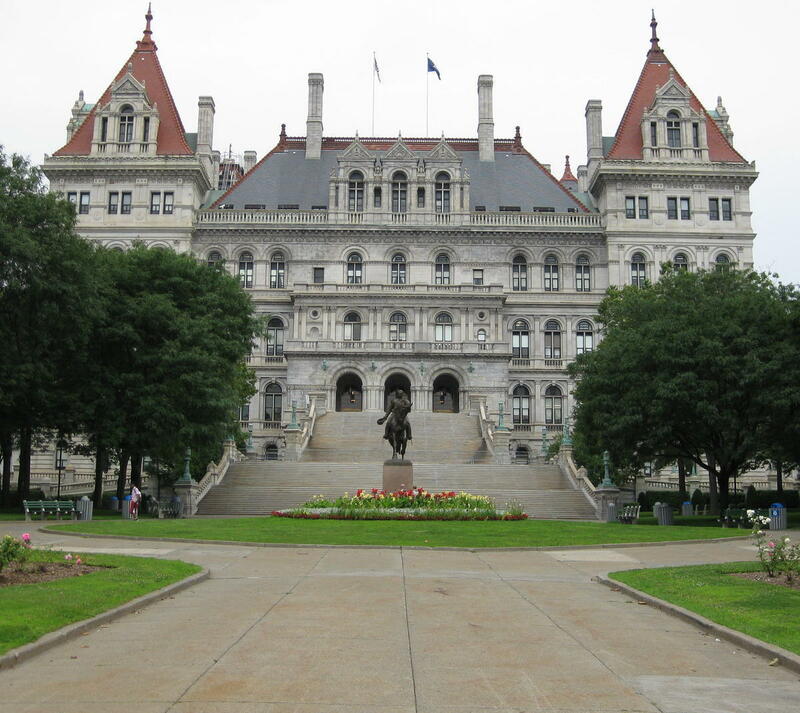 The business of the evenly divided New York State Senate remains stalled, as advocacy groups pressed for their bills to be acted on before the session ends in two weeks. The Senate is split between 31 members of the Democratic conference and 31 members in the Republican conference. Democrats have allied with Lt. Gov. Kathy Hochul, who under the constitution presides over the Senate. They believe that Hochul can provide the tie-breaking vote in procedural matters, like whether a bill can be allowed to come to the floor for a vote. In a contentious session on Tuesday, Senate GOP Leader John Flanagan was among several Republicans who questioned Hochul’s interpretation of the rules. They argued over an amendment to codify the abortion rights in the U.S. Supreme Court case Roe v. Wade into New York state law. Women’s groups and some Democratic senators have accused the Republicans of being patronizing to Hochul. But Flanagan said there’s nothing unusual about sharp words on the Senate floor. The Democrats finally succeeded — on their third try on Wednesday — in getting the amendment on the floor. But the Republicans, who still hold the majority in the chamber, ruled that it was not germane to the bill it was attached to, an anti- animal cruelty measure. Democrats were not able to muster enough votes to reverse that determination. Meanwhile, no major bills are being passed or even discussed among the Senate, Assembly and Gov. Andrew Cuomo. Several groups made a last-minute pitch for their measures outside the Senate chamber. Survivors of childhood sexual abuse pushed for the Child Victims Act, which would give victims a chance to take court action against their abusers. They say they won’t accept a bill currently backed by some GOP senators that would not include a one-year window of opportunity for survivors to pursue cases that occurred as long as several decades ago. Former police detective Rory Forestall worked many such cases during his career, and he said the victims need justice. Forestall noted that “it’s been a little dysfunctional in the Senate the last couple of weeks” before suggesting senators could rally around the Child Victims Act and approve the measure, which already passed the state Assembly. Teachers in the New York State United Teachers union are pressing for a bill to decouple the results of standardized testing from performance reviews. NYSUT President Andy Pallotta said the bill gives control of teacher evaluations back to the local school districts. “There’s 55 senators supporting this bill,” Pallotta said. Pallotta said the Senate stalemate is frustrating.